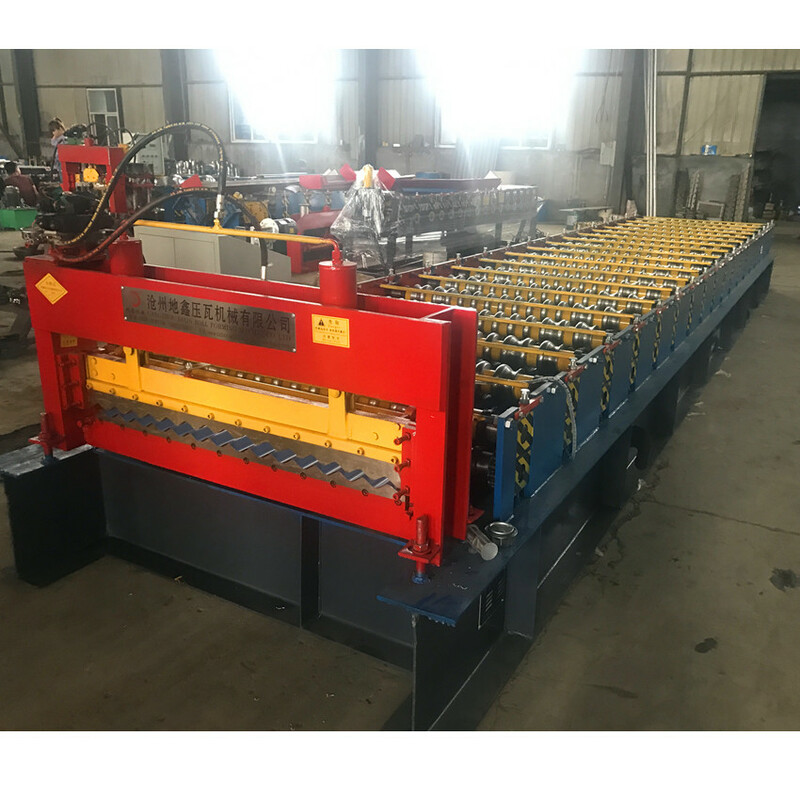 1.This roll forming machine can rollform wall panel. 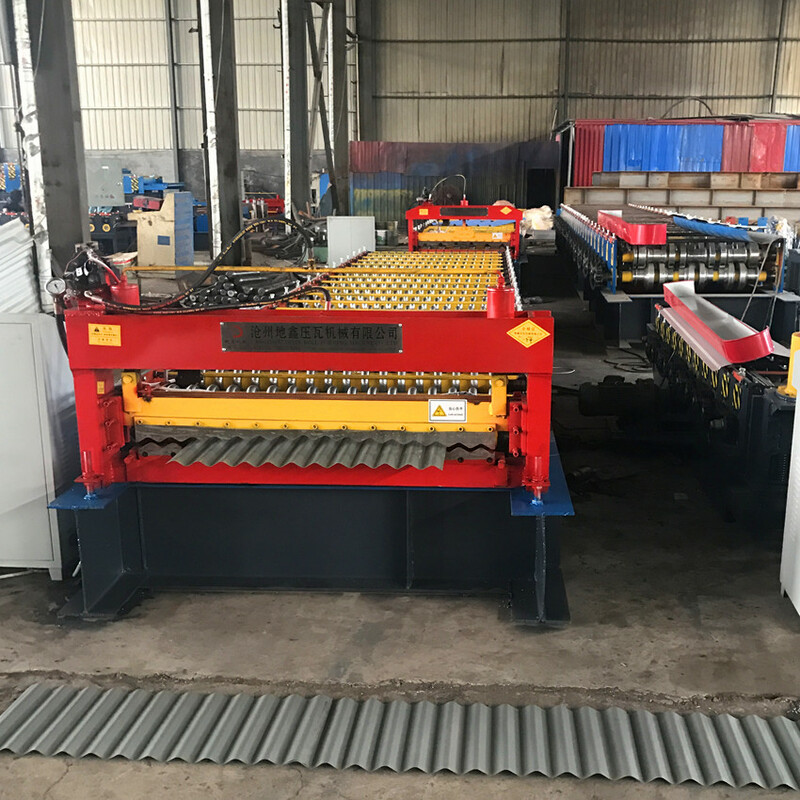 After roll formed by this roll forming machine, the surface will be very smooth and beautiful without any scratch on surface. 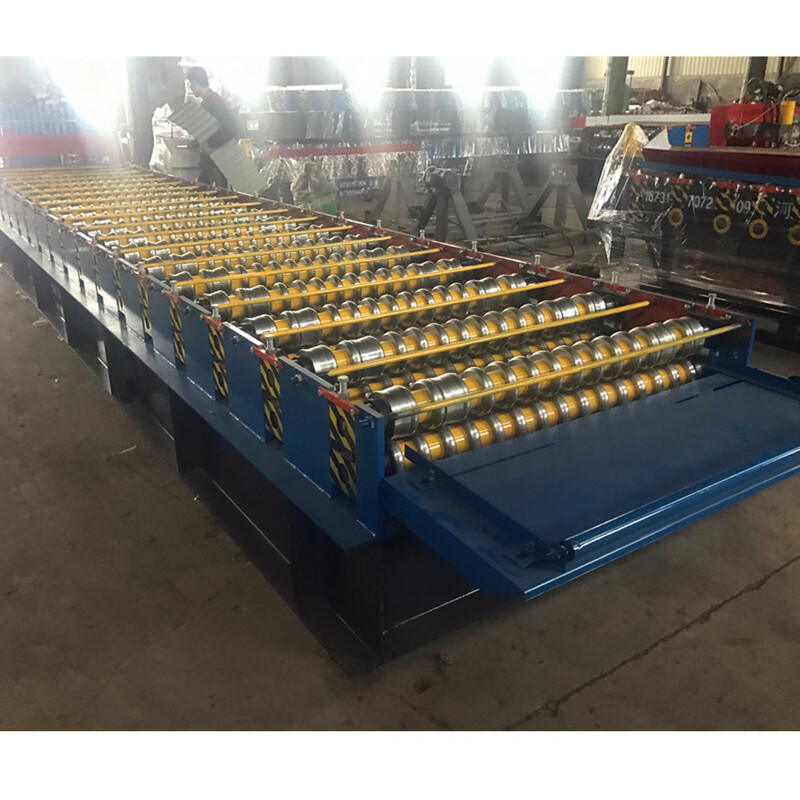 2.Rollforming process:uncoiler, rollforming, cut to length. 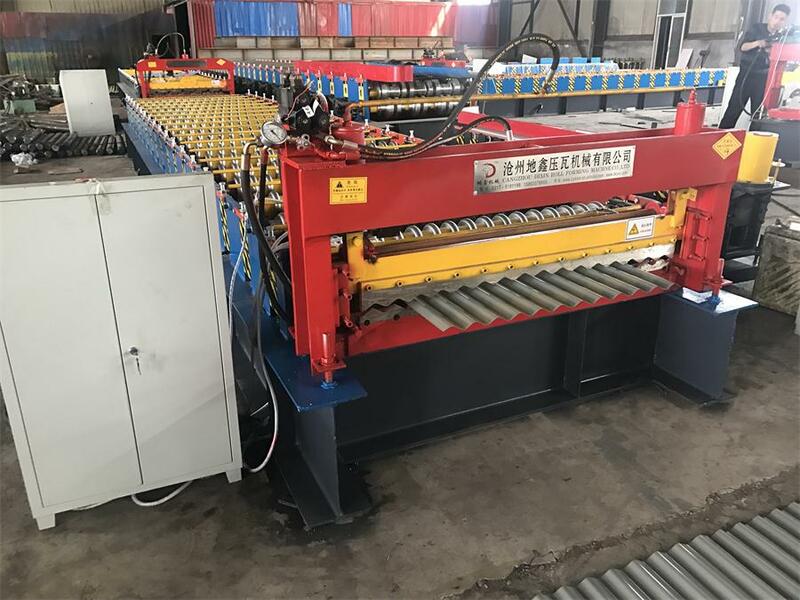 Manual Uncoiler ,Guiding Platform ,Coil Strip Leveler ,Main Machine Of Roll Forming ,Electro-Motor,Cutting Device ,Hydraulic Station ,PLC Control, Supporter Table. 3. 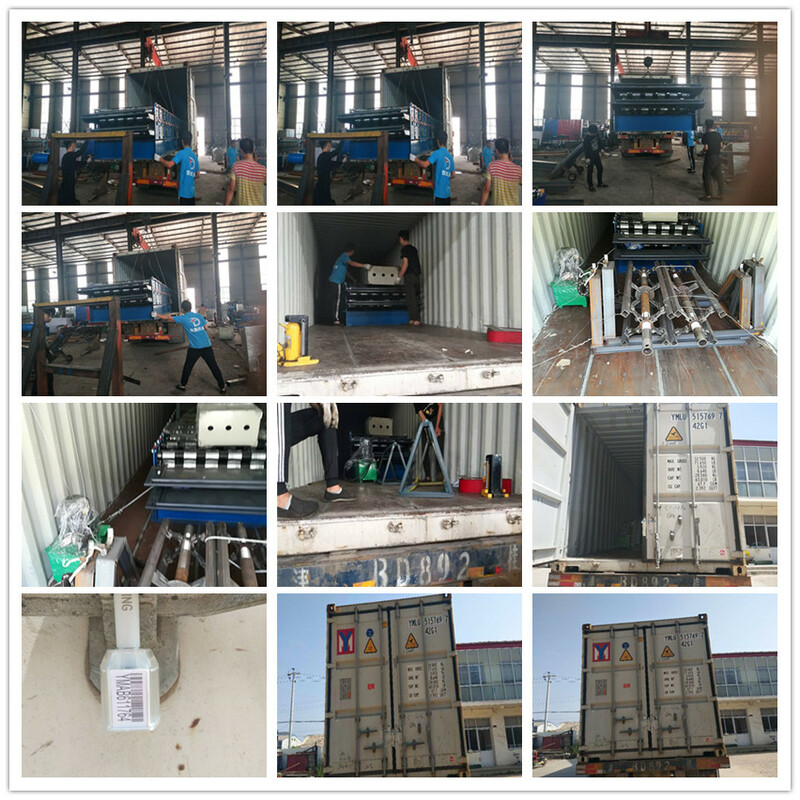 The whole body is fixed with iron wire inside the container; Other spare parts are all packed in carton box. 4. We accept customer's specified packaging. 2. )You can send your men to our factory. we will teach them how to operate the machine without training charges. operation manual. You can read through the manaul first ,and get familiar with the machine. machine for free and whole-life technical service support ! 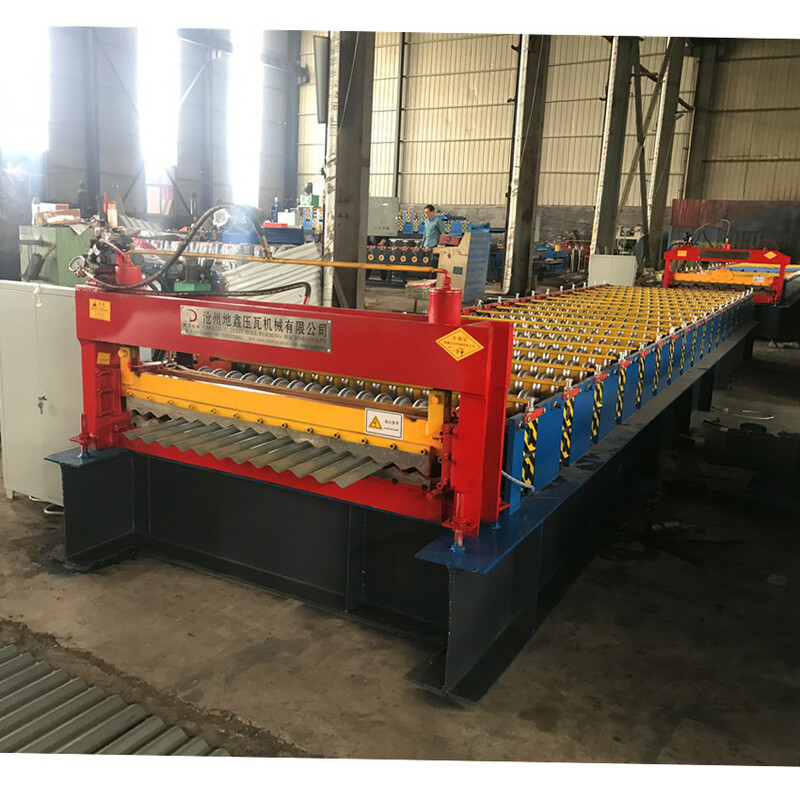 Looking for ideal Cold Galvanizing Line Manufacturer & supplier ? We have a wide selection at great prices to help you get creative. 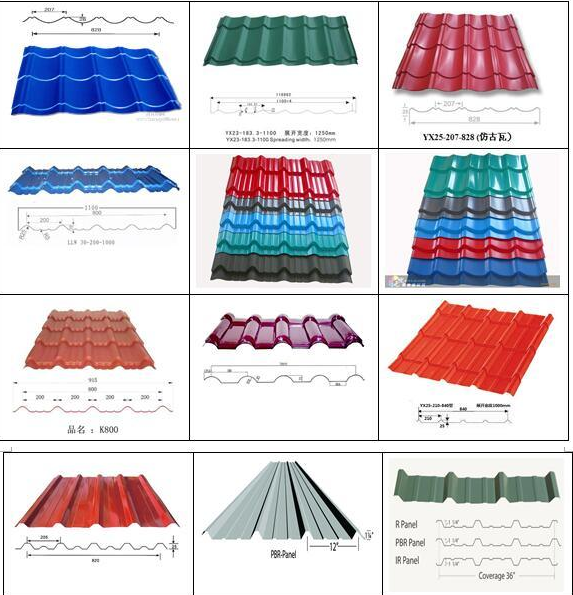 All the Trapezoidal Roof Tile Iron Sheet Corrugating are quality guaranteed. 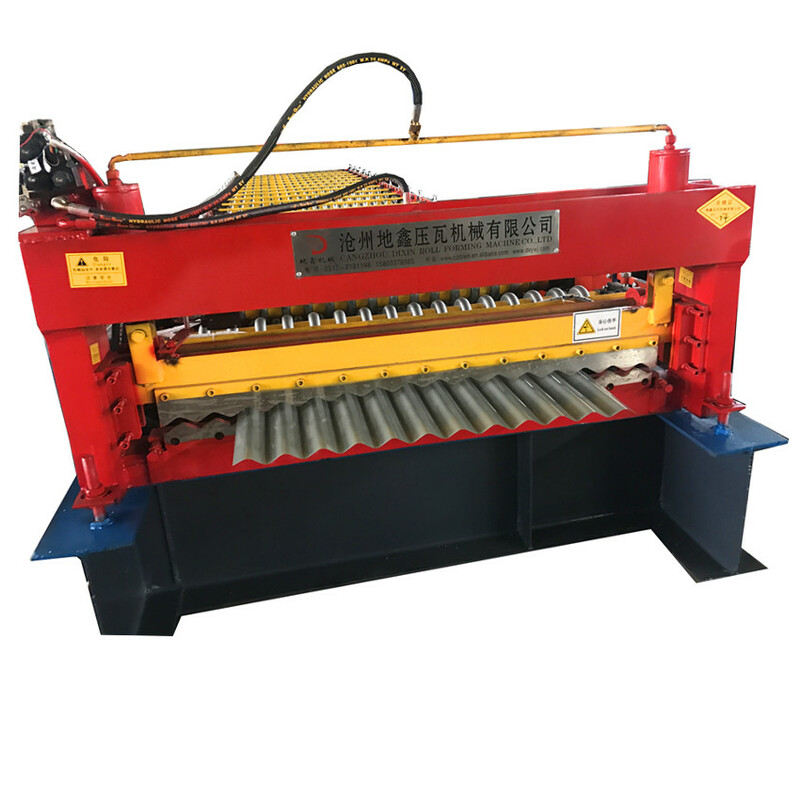 We are China Origin Factory of Iron Corrugated Roof Wall Forming Machine. If you have any question, please feel free to contact us.